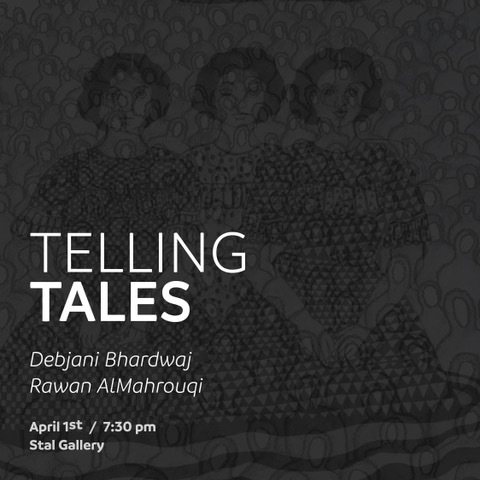 Stal Gallery presents ‘Telling Tales’, a duo exhibition of intricate drawings, papercuts and installations by Indian artist Debjani Bhardwaj and Omani Rawan AlMahrouqi which opens on April 1st 2019 and runs for 2 weeks. 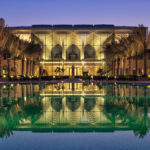 Debjani chose to explore the parallels between the contemporary human condition and the traditional folk tales of Oman while Rawan highlights a contemporary social commentary behind these tales. Debjani relishes the transformative process that comes from the seemingly laborious act of cutting paper, believing that the minimalism and fragility of her practice enables her to ‘think with her hands’, presenting infinite possibilities. Several of Debjani’s works are tunnel books. Paper-cut silhouettes are layered and bound together, to create the illusion of depth and perspective, then framed within wooden boxes and backlit to evoke ethereal, otherworldly scenes. Other pieces include installations a praxinoscope. This drum-shaped device, a successor to the zoetrope, is lined with pictures portraying, in sequence, the progress of a moving object. When the toy is spun, these are reflected upon a corresponding series of mirrors, creating the illusion of motion. There is an interactive hand-drawn wooden toy inspired by the game of Exquisite Corpses in which the audience can mix and match characters in infinite possible ways to create their own jinn characters. 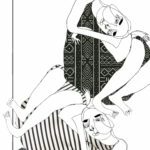 Rawan AlMahrouqi has created a series of works, drawing inspiration from her surrounding culture as most of her work carries the theme of social commentary. She has made a study of what is the scariest Jinn of them all (“kalam al naas”, or “what will people say about us?”). She plays around the definition of the word Jinn. She creates characters and presents them in the form of charcoal illustrations and life-sized wood cutouts, the installation is complete with a motion censored audio track of overlapping whispers.